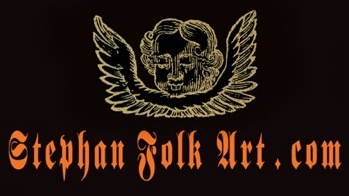 Fraktur is an indigenous decorative art form practiced by the Pennsylvania Germans. the greatest practitioners being country school teachers and itinerant penman. baptismal records, house blessings, illustrated music books, and religious texts. given to students for exceptional efforts. Some of the most common objects, used in the daily lives of the Pennsylvania German culture, were ornately embellished. 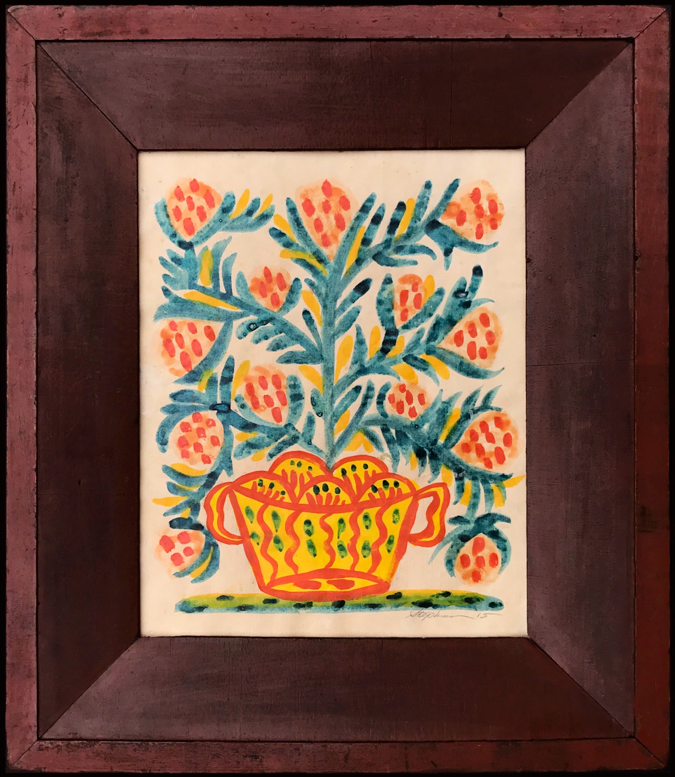 The highly decorated examples of fraktur and watercolors that recorded and celebrated the culture, remain American Folk Art at its best. I researched all I could on the subject. My ultimate goal was to preserve the art form by learning about the original instruments used, the application of materials, and to replicate original forms as faithfully as possible. The entire contents of this site are protected by US Copyright law. without written consent from Dennis Stephan is prohibited. 13.5” x 15” including frame.